"Due to visit India in a month my task was: can I learn enough Hindi so as to at least pleasantly surprise people that this guy can speak Hindi? And if not, will I at least make enough sense so people might laugh and correct me out of pity? I had last been taught languages 20 years ago, and that was German, so I had no idea what it was going to be like, learning Hindi, later in life. Well, I’m thoroughly enjoying it. Four or five Hindi lessons in and I’ve achieved my goal, or at least if I keep practicing I will.I was very surprised by being able to progress (what seems to me) quite far. Susmita is very patient and accommodates my combination of eccentricity, poor planning and lack of concentration with grace, despite it not being a good way to approach learning. Slowly but surely each grammatical dimension is opened up in front of me, and my ability to express, i.e. the extent to which I can move through all those dimensions, is increased as I get given words to attribute, to describe, and to relate. Each Hindi lesson builds upon the previous one, and light bulbs go off as I see how to use the new words and structures - “that is what they meant!”, “oh, that’s why people say that!”. When I started I realised I knew nothing about grammar at all, I barely knew what a verb was.I’m personally finding it quite interesting learning about grammar through the medium of learning Hindi too, something I hadn’t foreseen happening. 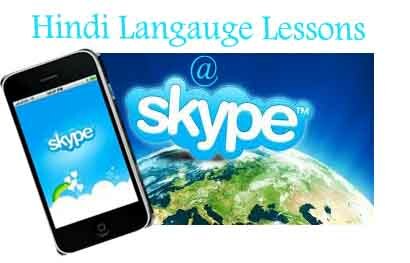 It’s good fun and I’m finding it very interesting.I can thoroughly recommend "Learning Hindi with Susmita". I started with nothing, and now I have the tools in front of me to say quite a lot.Now I just need to keep practicing with the tools and I’ll be able to use them to communicate on a basic level to 400 million more people.It would be rather wonderful to take it further so we’ll see where this journey goes." So if you want to learn Hindi Because you are traveling to India or you have someone to surprise with your Hindi Contact Talkingbees.com and write your reason to Learn Hindi and start your Online Hindi Lessons Over skype.